Another new addition! 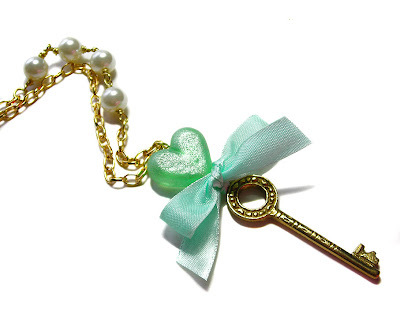 This cute necklace features lampwork by the wonderfully talented Laura Sparling, accompanied with a vintage brass key, satin ribbon and glass pearls. Click here for this and other new items!